Geoffrey Lewis was born in Wales. He read for the Natural Sciences Tripos at Cambridge where he was a member of St John’s College gaining a BA (Hons) in 1960. He did his clinical studies in medicine at The Royal London Hospital. He was awarded MB BChir (Cantab) in 1963. He held house officer posts at the London Hospital where he was House Surgeon to the distinguished orthopaedic surgeons, Sir Reginald Watson Jones and Mr Henry Osmond Clarke. Whilst in London, he lived in the Oxford University Settlement in Bethnal Green. This was the first university settlement in the world. It was founded by Keble College in 1884 to enable graduates and undergraduates to work amongst the local people and to experience the poverty and dire living conditions in the East End at that time. Dr William Temple, Archbishop of Canterbury was a driving force behind its principles during the bombing of the East end during World War ll. Dr Lewis helped to run youth clubs and other community groups whilst he was resident there. He probably developed his socialist principles in the East End as this was a period when Bethnal Green was the focus of social research into family and kinship groups. He then moved to St Mary’s Hospital, Paddington to begin his training as an anaesthetist before moving to Liverpool (The Royal Liverpool Children’s Hospital and Liverpool University) which was at that time an important centre with an innovative approach to this rapidly developing specialty. He completed his training in anaesthesia at the Royal Victoria Infirmary in Newcastle-Upon-Tyne achieving Fellowship of the Faculty of Anaesthetists at Royal College of Surgeons (FFARCS) in 1967 later becoming a Fellow of the Royal College of Anaesthetists (FRCA). He gained an MA (Cantab) in 1966. 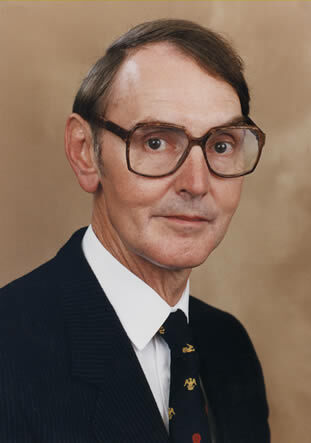 He was appointed to a research post in the University Department of Anaesthesia in Newcastle shortly after the death of its distinguished founder Professor Edgar Pask. Whilst at Newcastle Dr Lewis published research papers on blood gases and pioneering work on anti-gravity suits directed towards maintaining blood pressure in patients prior to operation for ruptured aortic aneurysm, etc. His thesis on Respiratory Dead Space which evaluated the changes of efficiency in gas transfer with varying modes of ventilation was awarded a Doctorate in Medicine from Cambridge University. He came to Leicester In 1975 when he was appointed a Consultant Anaesthetist at the Cardiac Unit at Groby Road Hospital, Leicester. Cardiac Anaesthesia was a fast – developing speciality in which at Groby Road had earned a high reputation. Over the years he became involved in teaching, research and medical politics. He joined the Leicester Lit and Phil in 1975 and served as Secretary from 1977 until 1987 becoming President in 1988 giving his presidential address on the History of Anaesthesia (Poppy and Mandragora and all the Drowsy Syrups of the World). He became Programme Secretary, jointly with his wife (1990 – present) and became Editor of Transactions in 2009. He is an active member of the British Medical Association, having been Secretary of the Leics and Rutland Division since 1989 and was President of the Local Division in 2006/7. Nationally he has served on BMA Council and many national committees including the Consultants’ Committee (CCSC 1999 – present), Medical Ethics Committee, International Committee, the Board of Science and the Medical Academics Committee. His particular interest is medical education and he has served as a consultant advisory member of the BMA Junior Doctors Committee for many years. He was awarded Fellowship of the BMA for his Outstanding Contribution to the Association. He is currently the chairman of BMA Trent Regional Council (2002- present). He is a past President of Leicester Medico-Legal Society and is President Elect of Leicester Medical Society for 2011- 2012. He is an observer at the Leicestershire and Rutland Local Medical Committee. He is a founder member of the University Hospitals of Leicester Ethics Committee. He is a member of Council and minutes secretary of the NHS Consultants Association (NHSCA) which seeks to preserve the NHS as a publicly funded organisation. He is a founder member of the action group KONP (Keep Our NHS Public) and a member of its Council; he is a member of KONP Leicester. He is a member of the Court of the University of Leicester. He was awarded the Diploma in the Philosophy and Ethics of Medicine of the Worshipful Society of Apothecaries in 2003 and is currently studying for the Diploma in the History of Medicine of the same Society. He is a Yeoman of the Society of Apothecaries and a Freeman of the City of London. He is a member of the Royal Society of Medicine and the Wellcome Foundation Library. He has had a keen interest in tennis and follows the fortunes of Leicester Tigers. Other interests include the enjoyment of art, architecture, philosophy and ethics. He is married to Hilary who was Lit and Phil President in 2001 and he has two children, a daughter Alexandra, a consultant forensic psychiatrist and a son Alasdair an architect. Presidential Address: Poppy and Mandragora and all the Drowsy Syrups of the World. Transactions of the Leicester Literary and Philosophical Society Vol. 83, pp. 1 – 4, 1989.